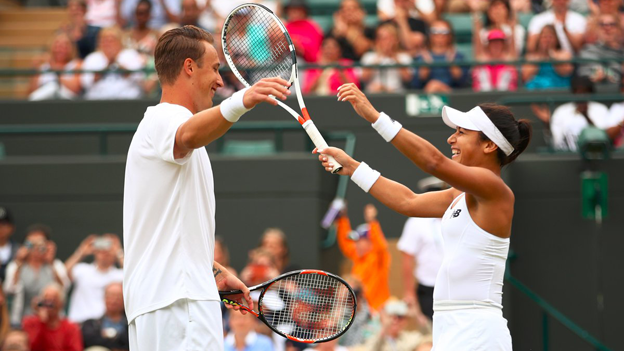 Heather Watson and Henri Kontinen took victory in the mixed doubles as Watson became the fourth British player to win a title on Wimbledon's final day. Finland's Kontinen and England's Watson beat Cololmbian Robert Farah and Anna-Lena Gronefeld of Germany 7-6 (7-5) 6-4 after Andy Murray won the men's final. Earlier Gordon Reid won the men's wheelchair singles title and Jordanne Whiley the women's wheelchair doubles.